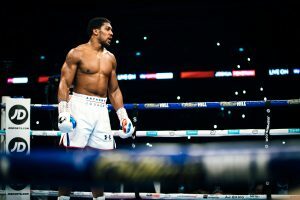 It was a crushing return to the scene of his historical triumph over legendary Champion Wladimir Klitschko in April 2017, where he produced the performance of a lifetime to claim the WBA crown in an unforgettable battle in front of a post war record crowd of 90,000 at England’s National Stadium. The British sensation blasted Povetkin to the canvas with a brutal assault in the seventh round and then floored the WBA mandatory challenger again to signal a sudden and dramatic ending to his 22nd professional victory in his home city. And now sport’s biggest name will follow in the footsteps of Heavyweight greats such as Joe Louis, Joe Frazier, Evander Holyfield and Muhammad Ali when he crosses the Atlantic to silence Brooklyn’s brash ‘Big Baby’ Miller at ‘The Mecca of Boxing’. “It’s been an eventful few months but I’m delighted to finally announce that Anthony Joshua will make his American debut at the iconic Madison Square Garden on June 1,” said Eddie Hearn, Matchroom Boxing Managing Director. “AJ has created an incredible ‘Lion’s Den’ atmosphere in the UK and we plan to bring that energy to New York on a card that will be stacked with British vs. American talent. When you look at the Heavyweight greats that have graced the renowned ‘Mecca of Boxing’ the names of Ali, Frazier, Marciano and Tyson stand firm and June 1will be a moment when the World will witness AJ’s turn.